We encourage members of the MASAE community to review the submission form, share it with your staff and consider submitting. Our hope is to build a program that includes great representation from our local community. We will soon hold a webinar to talk about the program and answer questions for anyone interested in submitting. Please click here to submit your presentation. 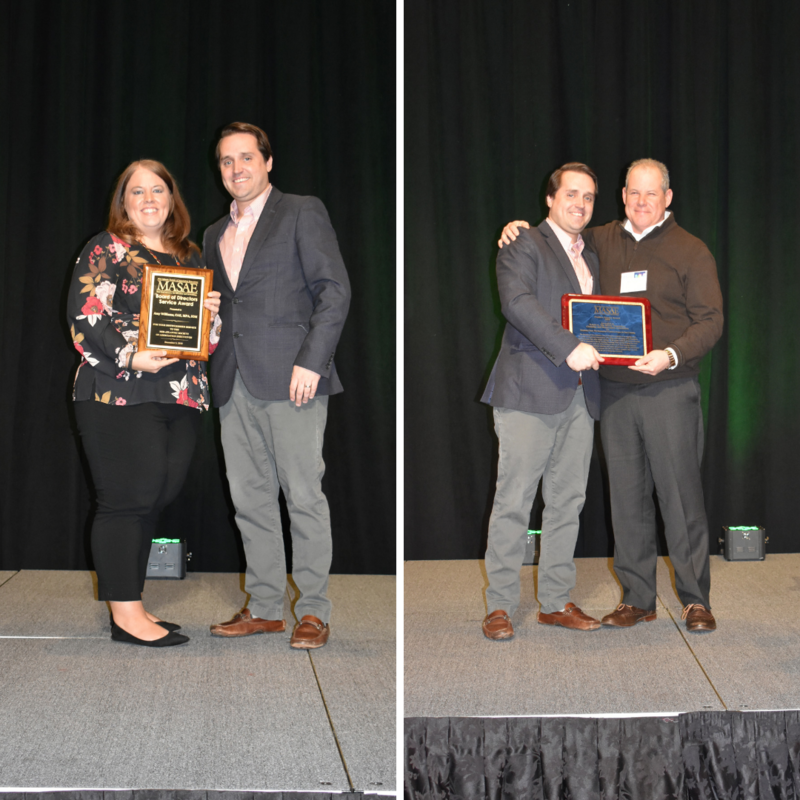 The Mid-Atlantic Society of Association Executives was pleased to recognize the power of association excellence and dedication at the 2018 Annual Meeting, held at Harrah’s Resort in Atlantic City December 5 and 6. Amy Williams, CAE, MPA, of Association Headquarters, Inc. was the recipient of the MASAE Distinguished Service Award, which is presented to a dedicated individual who fulfills the “spirit” of MASAE, including: serving as a volunteer leader, stimulates others in volunteer functions and displays a demonstrated track record of success and achievements in MASAE endeavors. Both awards were presented by 2019 MASAE President, Kyle Fernley of Fernley & Fernley. Congratulations to our award winners, and thank you for your contributions to MASAE!